This past week was spring break for Ruth and my kids. I had work, but took Thursday off to ski, and was able to sleep in a bit in the mornings instead of making lunches and getting kids off to school. And I ran and ran. I had a solid interval workout on Tuesday and some faster paced running on Wednesday at Pineridge, which had finally dried out and become open for use. Saturday I joined a small group of Quad Rock 50 aspirants in running the 25 mile course. I was ahead of my May 2018 race pace until the last two descents of the Mill Canyon and Timber trails, which were quite packed with snow and ice. I took it easy going down, not willing to risk crashing. I had to cope with some back and ankle pain left over from skiing, and managed that well, too. Good company helped. After the run, I felt like I had enough energy to turn around and go back out, which is a good sign. 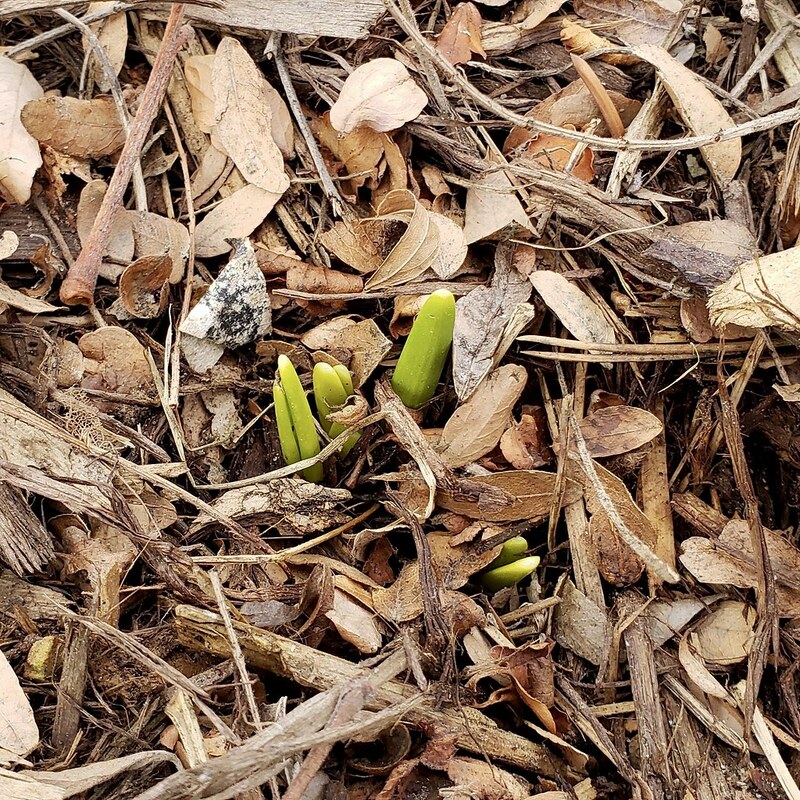 Other good signs: on south-facing slopes there are green shoots coming out of the soil and it's warm enough to run in shorts and short sleeves as long as you don't stop moving. Today I went out for another 16 miles on single track east of Horsetooth Reservoir. The muscles in my lower back were less aggrieved, but the tendons on the front of my left foot were more tender than the day before. I concentrated on running lightly, thinking happy thoughts, and being friendly to the many other folks on the trails. This worked well. 41 miles is a weekend record for me. I felt quite satisfied as I first soaked my feet and ankles in a bucket of ice water and then enjoyed a cold beer and a hot bath.